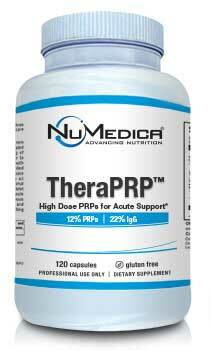 NuMedica TheraPRP Capsules are specially formulated supplements for that helps aid in immunity support. Created by Dr. Andrew Keech, he made sure to include the best PRP's to fully benefit the consumer. Provided in powder and capsule forms, it has the perfect balance of benefits. 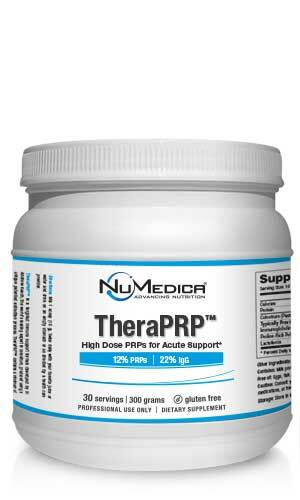 NuMedica TheraPRP is also available in powder form. TheraPRP Capsules - 120c 4 Capsules 30 Take four capsules twice daily or as directed by your healthcare practitioner. Important: Continue taking ImmunoG PRP™ daily while taking TheraPRP™. For maximum benefit, use the powder forms of ImmunoG PRP™ and TheraPRP™ when possible. TheraPRP Powder - 300g 1 Scoop (10g) 30 Mix 1 scoop (10 grams) in unchilled water twice daily or as directed by your healthcare practitioner. 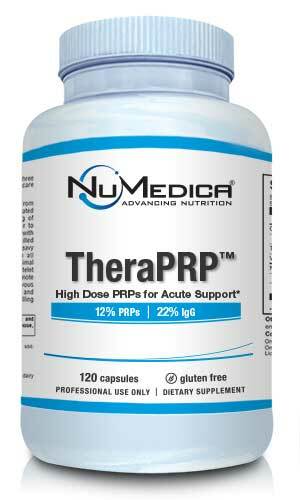 Important: Continue taking one scoop (10 grams) of ImmunoG PRP™ daily while taking TheraPRP™.